Summary: Yesterday we looked at the evolution of American, and what’s coming. Today we consider what that means for those working to reform America: abandon vain hopes, regroup, lay the foundation for later victories. A bleak prospect, but important to understand. The “Correlation of Forces” is an objective indicator of combat might/power of opposing sides which makes it possible to determine the degree of superiority of one side over another. This is determined by means of comparing the quantitative and qualitative characteristics of units and formations, and armaments of one’s own troops and those of the enemy. There is no single golden key to reform. Today reform movements in America run to fantasy and unseriousness. One obvious sign of this is their disinterest in an objective evaluation of their strengths vs. those of their opponents (the correlation of forces). Comic book heroes need not do this, but in the real world only fools skip this step before pledging their lives, fortune, and sacred honor to a great task. Hope and confidence are not enough. Failure is always an option. Let’s briefly do this, and discuss what the implications for those seeking reform. The momentum towards the New America appears irresistible, with two major drivers. First, the 1% own the high ground in almost every major institution — private and public. Years of inequality have given them a tremendous control over America. This forecloses many potential avenues for reform. For example, calling a Constitutional Convention would let the 1% create the America of their dreams (details here). Second, the citizenry remains incapable of effective response. We are divided on not just tactics but also on the ends of political reform. Worse, an increasingly large majority has changed from citizens into subjects, accepting not just their impotence to influence the government’s actions but also ignorance about what it does (so that key deeds remain secret until useful for the Executive to reveal). The US Constitution lived only in our hearts; recent events prove that it has died. The structure of our political regime remains — the institutions and buildings housing them — but Constitution’s power came from citizens committed to the responsibility of self-government. Such people no longer command a majority in America. The combination of both makes effective reform an impossibility today, and for the foreseeable future. “Reform” is an empty concept today. 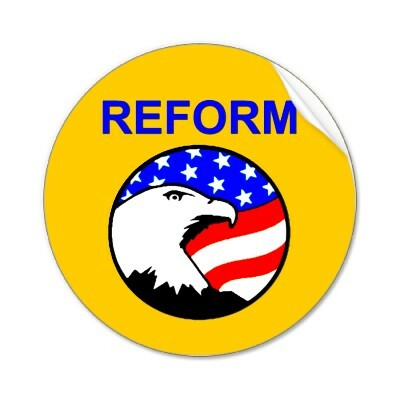 Logo of the American Reform Party (graphic by Andrea). America cannot reform today. Attempts to institute reforms waste scarce time and resources. That’s not cause for despair (click here to learn why). Consider two of the great reform programs in American history, where our forefathers begin great projects with nothing but hope and confidence on their side. Where are we today on their timelines? (1) In May 1764 Samuel Adams took his first steps to end British rule in America (see here for details). That same year a small group of people in Boston formed the first of the Committees of Correspondence. The Revolution ended 19 years later with the Treaty of Paris in 1783. (2) In 1774 Benjamin Franklin and Benjamin Rush founded America’s first anti-slavery society. In 1868 we ratified the Fourteenth Amendment. In the mid-1960′s the Civil Rights legislation ended government-sponsored oppression of Blacks, concluding the project begun 190 years earlier. Now we are in the first step of an equally important project. A long road lies ahead, years or decades of work to return America to the ideals of self-government. Will you step on to it? Then reach out to others, show them the path, and ask them to join you. On a larger scale this means organizing, agitation, and a thousand other kinds of political effort. Step one is the key, reaching out to each other. 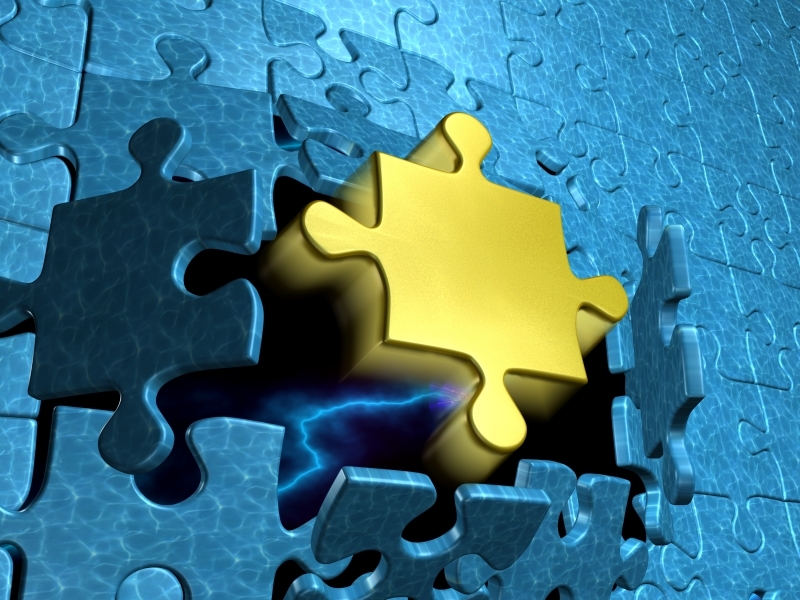 Finding common grounds to form alliances rather than seeking a remnant of doctrinal purity. Seek political reform rather than utopia. Our modern myths give us wrong models. Action adventure heroes like the Lone Ranger and Batman are opiates for subjects. Only through collective action can citizens rule themselves. We must create visions of what lies at the end of the reform path. We need not agree except in broad details. When seeking independence the Founders did not agree on the form of the new government, nor did abolitionists have one vision for the fate of slaves after abolition. Another necessary component is organization. Street parties like the Occupy movement play a useful role only as part of a larger process. Also, the lesson of the Tea Party must loom large in our minds, about the 1%’s ability to entice and control: rebels angry at the bank bailouts became shock troops in the bank-friendly Republican partisan machinery. Most of all we’ll need commitment and determination. The road will be long and difficult. America – how can we stop the quiet coup now in progress? Fixing America: shall we choose elections, revolt, or passivity?, 16 August 2008 — Part 1. Fixing American: taking responsibility is the first step, 17 August 2008 — Part 2. Fixing America: the choices are elections, revolt, or passivity, 18 August 2008 — Part 3. Next Post Look at America’s grand strategy. Why do we believe this nonsense?